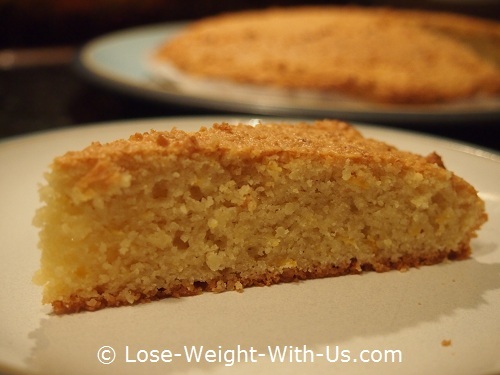 This low carb lemon cake is very much like a traditional lemon cake, even though it does not have any flour and is sugar free. One slice of cake provides 251 calories and 3.6g of net carbs. 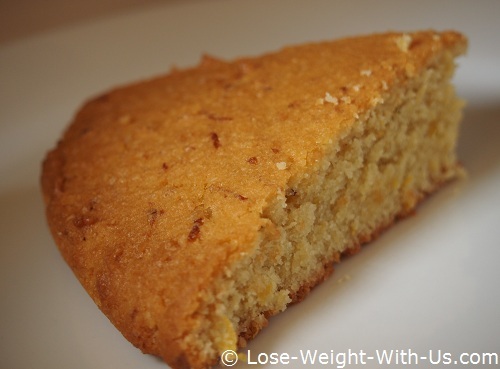 This recipe is suitable for phase 1, 2 and 3 of a low carb diet. Recipe Nutritional Profile: Diabetes Appropriate, Healthy Weight, High Fiber, Low Calories, Low Carbs, Low GI, Low Sodium, Vegetarian. Stevia or the other calorie and carb free sweetener of your choice, as much as you need. 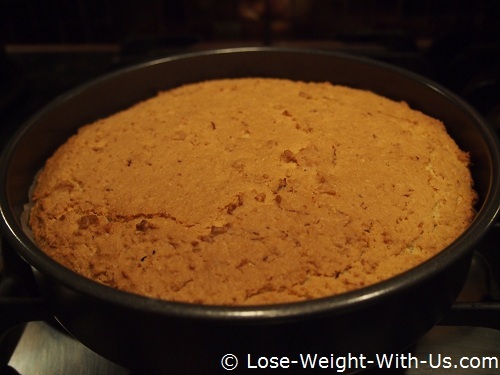 Line a round baking dish (20cm in diameter) with non-stick baking paper and set to one side. 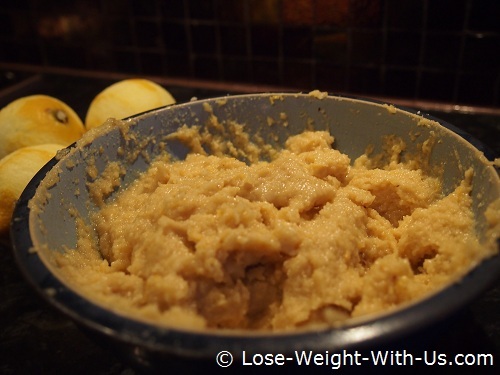 Mix together the butter, olive oil, eggs, lemon juice and lemon peel. Stir well until creamy, then add the ground almonds, baking powder and sweetener of your choice - add as much sweetener as needed to make it sweet enough. If you are using pure stevia - 1 tsp. might be enough, always taste and then add more if needed. 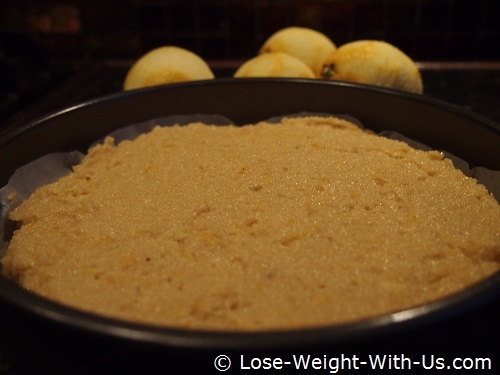 Spoon the lemon cake mixture into the baking dish and level the top afterwords. Bake for 30-35 min until the mixture has risen and is lightly golden in color. To check if it is done, insert a match or wooden toothpick in the center of the cake, when taken out, if clean - it is ready.